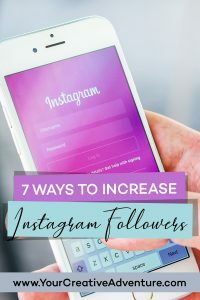 Learn these 7 ways to increase Instagram followers. 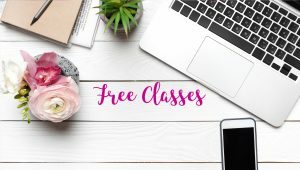 There is no one way that works for everyone, but in this post, I share several Instagram marketing tips that can help you grow your followers. These are Instagram marketing ideas I have personally used to grow my account to over 12.2k followers. I’d love to hear what works for you. Do you remember playing a game called “Show and Tell” when you were in kindergarten or grade school? Each student has the opportunity to bring a favorite toy, instrument or other coveted items from home in order to “show” it to their teacher and classmates. They also have the chance to “tell” the story behind that item and why they love it so much. It’s a game all the students loved and anticipated. 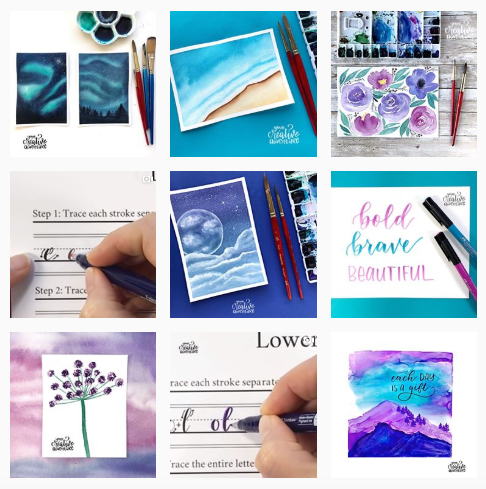 For artists of all kinds, Instagram is the social media version of “Show and Tell.” We get to show our artwork to a worldwide audience and then tell the story behind it. It’s a wonderful way to share our talents while also bringing encouragement to others. With Instagram, you could have “Show and Tell” 365 days a year! Whether you’re a newbie to the ‘Gram’ or a seasoned veteran, we would like to share seven ways to help you increase Instagram followers. Building consistency through posting regularly is a good way to earn some trust with your followers. It also helps develop a habit of connecting with those followers and staying in front of them. Many or most of your followers are potential customers who would buy your art. 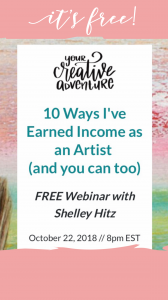 Being specific about what you have to offer while also sharing your love and passion will have a powerful impact on your art business. Staying in front of your target audience reminds them that you exist. It’s also a way to add to the lives of others through the beauty of your artwork and the captions that you write. Posting regularly does not mean you have to post every day. It could be two or three times a week depending on the individual. Whether you choose once a day or once a week, the important thing is to have a regular schedule where your audience is seeing you. 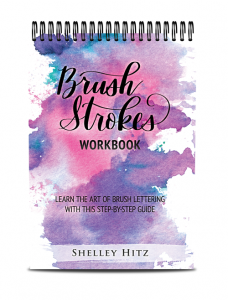 Many have found it helpful to work ahead and have several posts prepared in advance with their artwork. Simply keep your images in a folder on your phone and write a caption for each that you can save in a notes app. It’s not only important to use hashtags that are relevant for the audience you’re trying to reach, but also to find hashtags that haven’t been overused. For example, let’s say you want to use #artists. When you type #artists into your caption, you’ll see that it’s been used almost 10.5 million times (as of March 2019). That gives you an idea of how many others are using this particular hashtag in their posts. If you were to only use #artist in your caption, your post would be quickly drowned out. In other words, your post would remain on top for a millisecond before being overtaken by others. If possible, try finding hashtags that have been used less than 200,000 or even 100,000 times but still aim toward your niche. After typing a specific word, you’ll notice several options to choose from along with the number of times those hashtags have been used in posts. Finding hashtags in your niche that have been used under 10,000 times would be what we consider optimal in order to be more visible. The great thing is that you can experiment with a variety of combinations over time. Having variety also keeps you from looking spammy which Instagram frowns upon. It can also be helpful to take a look at other Instagram accounts that have larger followings with plenty of interaction in order to see which hashtags they’re using. You’re not trying to copy them but simply getting an idea of what else is out there. As a reminder, Instagram allows you to use up to 30 hashtags. Even so, it’s not necessary that you use your full allotment. Using 15 (or less) relevant, niche-centered hashtags is more effective than using 30 irrelevant hashtags that aren’t aimed very well. It’s important to be authentic with the posts you share on Instagram. One way to be real is to share pictures or videos that you personally took. After all, this is what makes YOU unique. Lots of people can share a picture of a beautiful sunrise or sunset but each of us can share a unique story in the description that sets us apart from others. Sharing content that’s personal and engaging also yields the most interaction in the comments from your followers. Be yourself rather than trying to mimic someone else. It’s ok to look at other Instagram accounts for ideas but make sure YOUR personality shines through in your posts. Instagram added the “stories” (upper left corner) feature in August 2016. It’s a great way to further engage your audience and you can even include hashtags in the stories that attract other artists in your niche. When recording a video for stories, you have 15 seconds but can add up to 100 of those highlights. Each story or highlight lasts 24 hours before it disappears. Some people have described Instagram stories by saying they felt like they were able to “hang out with their friends all day.” Over the course of a day, you could piece together several highlights that help paint a picture of what your day looked like. 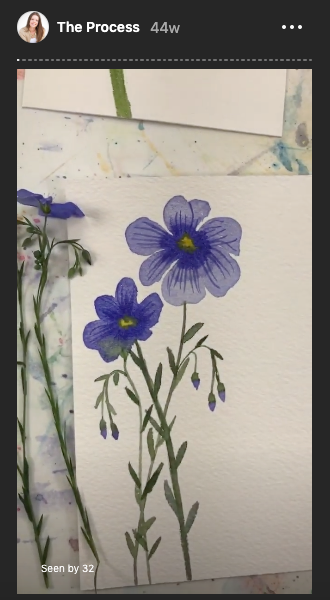 One example could be showing the “start to finish” progress of a watercolor painting you’ve been working on for several hours. If you’re a music artist, you could share little 15 second clips of a new song you’ve been working on. Or maybe you hiked to the top of a mountain and want to give your viewers a 360-degree panoramic view, allowing them to “be with you” at that moment. 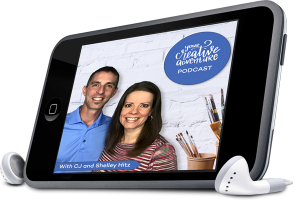 For you introverts out there, it may be frightening to consider showing your face or sharing a story of you talking to your followers but it’s an additional way to connect with those followers. People normally buy from those they know, like and trust and video is the fastest way for others to know, like and trust you. You could even get fancy by adding polls or questions in your stories and asking your followers to respond with a direct message. No matter how you use it, the stories feature is a tool you definitely want to take advantage of. Let’s face it, we all like free stuff. 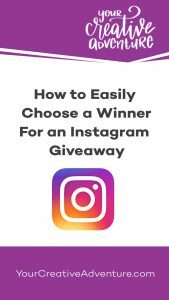 Collaborative giveaways are one of the fastest ways to gain followers on Instagram due to the possibility of people winning things. When you partner with a company or another artist with a large following, you have the ability to be seen by their audience as well as your own. The best scenario would be if the company or notable artist posts the image or video on their feed AND you post the same on your own feed. Generally, those who want to enter the giveaway would be required to like the post and also follow both accounts. Let’s say you partner with a company with over 100,000 followers. That’s a lot of eyeballs and new follows you’ll be getting on your account. Of course, you’re also helping the person or company you’re partnering with. It’s a win-win. Keep in mind that you can partner with some of your closest artist friends on Instagram as well. Opportunities to partner with well-known companies or artists are wonderful but it’s important to partner with those in your immediate circle. Entering various challenges on Instagram can also be a great way to gain some visibility and new followers. 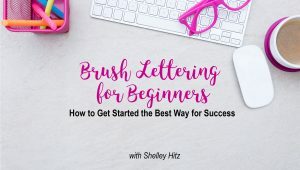 For example, a certain artist you follow may hold a 7-day lettering challenge where followers are asked to post a specific word they lettered along with a certain hashtag (i.e. #letteringchallenge). When others click on or search that hashtag, your own post may come up which means more potential followers in that niche. The person or company hosting the challenge could also highlight you in their stories or feature you in a post which gives you even more exposure. Entering challenges can certainly be worth the time and effort, especially if it’s within your niche. Interacting with others is a great way to build relationships and rapport. Instead of being a billboard that constantly cries, “look at me, look at me!”, you are intentionally affirming and encouraging others in their art. It’s putting the emphasis on SOCIAL in social media. It’s true that social media of any kind can take up loads of time if we allow it to. It’s healthy to designate a certain amount of time each day for interaction. Whether this is 30 minutes or 2 hours, each person should decide for themselves. Instagram really is a wonderful social media platform for artists. 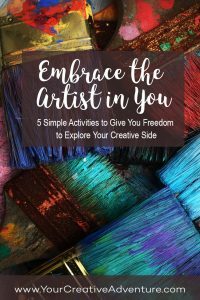 There’s nothing quite like it out there in terms of building a community of similar-minded folks who want to share their gifts and talents within a particular niche. Instagram users can also sniff out the spammers in a heartbeat. It’s important to be authentic in the comments we make rather than sharing the same generic words in the comments of numerous feeds. When interacting, we also want to avoid trying to push our own sales. If you’re real and authentic as a person, others will naturally become more interested in what you have to offer. • Was real and shared interesting content – Jesus was full of interesting content that attracted followers. They hinged on his every word because it was the most real thing they had ever heard. • Used stories – Jesus used a variety of stories and parables with his disciples and the crowds who followed him in order to help them grasp deeper spiritual truths. • Did collaborative giveaways – Jesus was always doing giveaways like healing lepers, casting out demons and ultimately giving Himself on a Roman cross. • Entered challenges – Not only did Jesus challenge others like the religious leaders of his day but he was also being challenged by those same people on a daily basis. • Interacted with others – Jesus wasn’t afraid to touch the leper or hang out with the “scum of society.” He interacted with both the rich and poor and offered Himself to everyone he encountered. His agenda was that they might have life to the full (John 10:10). As you grow your Instagram following, may your impact and influence also grow in the lives of countless individuals! We hope you found helpful tips to increase Instagram followers in this post. Which option will you try next? What has worked for you? Let us know in the comments. 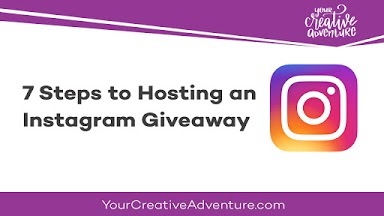 Want to Host a Giveaway to Increase Instagram Followers?